Askew, David. 2004. Debating the “Japanese” race in Meiji Japan: toward a history of early Japanese anthropology. The making of anthropology in East and Southeast Asia. Shinji Yamashita, Joseph Bosco, and Jeremy Seymour Eades, eds. Oxford: Berghahn. Hanihara, Tsunehiko, and Hajime Ishida. 2009. Regional differences in craniofacial diversity and the population history of Jomon Japan. American Journal of Physical Anthropology 139. Kaner, Simon. 2009. 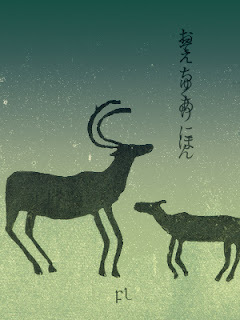 Antiquarianism and the creation of place: the birth of Japanese archaeology. Antiquaries and archaists: the past in the past, the past in the present. Megan Aldrich and Robert J. Wallis, eds. Reading, UK: Spire. Sleeboom, Margaret. 2004. Academic nations in China and Japan: framed in concepts of nature, culture and the universal. London: Routledge Curzon. Yamashita, Shinji. 2006. Reshaping anthropology: a view from Japan. World anthropologies: disciplinary transformations within systems of power. Gustavo Lins Ribeiro and Arturo Esobar. Oxford: Berg.